After National Service in the Royal Navy, Bernard Donovan embarked upon a career in science, becoming a leader in research on the interactions between the brain and the endocrine system -neuroendocrinology. His work on the control of reproductive function, concerned with the timing of puberty and the control of ovarian activity, was particularly innovative. As the editor of a leading scientific journal, the Journal of Endocrinology, and later as Secretary-General of the Association of Learned and Professional Society Publishers, he contributed substantially to the betterment of the academic publishing industry. His final professional achievement was the writing of an authoritative biography of Solly Zuckerman, one of the twentieth century’s most influential biologists. 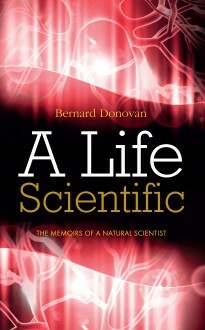 This is the story of Donovan’s professional and personal life, from growing up as a schoolboy in wartime London to marriage (thrice), fatherhood and the many thrills of a scientific career.